Can I connect my mailchimp account to my LSP.expert account? Yes, you can synchronise your mailchinp account with your LSP.expert account. 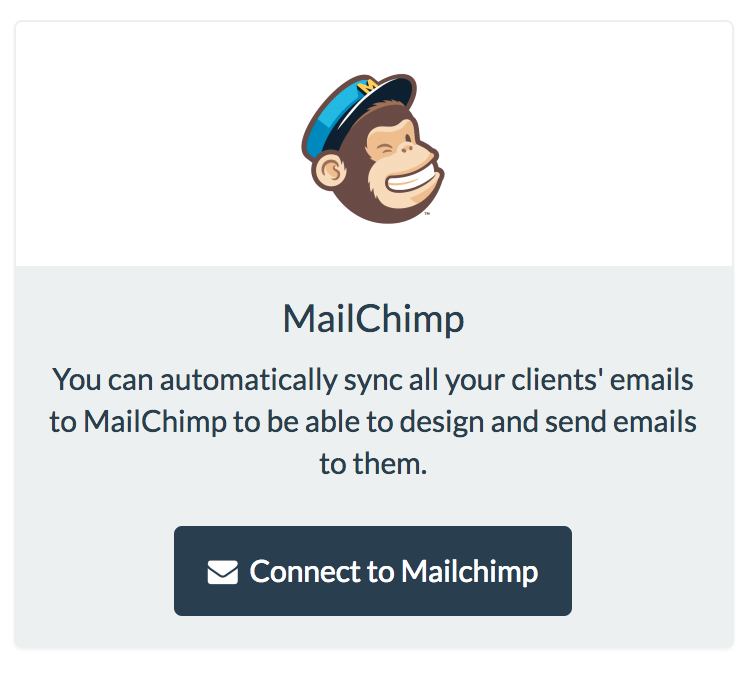 You can link your mailchimp and LSP.expert accounts to synchronize all your contacts' emails. 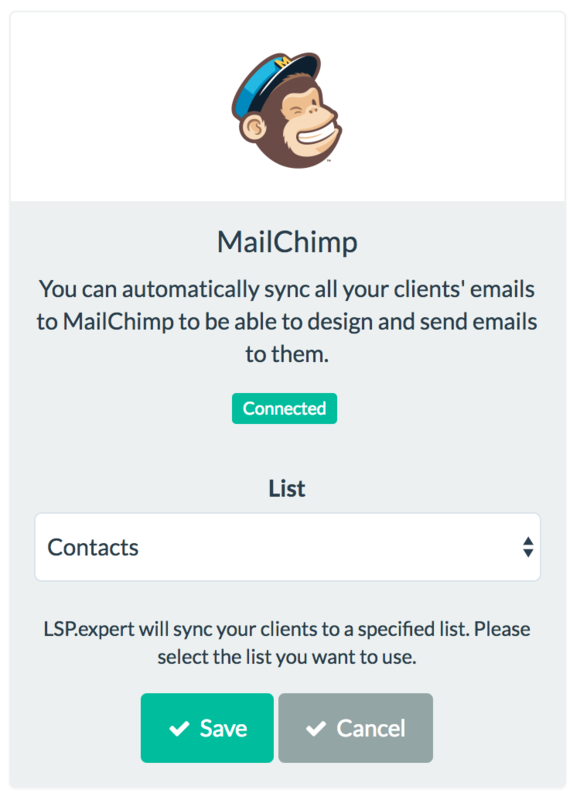 Each time you modify a contact in LSP.expert, the system will automatically synchronize it in your mailchimp account. To connect your mailchimp account to your LSP.expert account, you have to go to Settings > Integration. Mailchimp will then ask you which account you want to use for the integration. To finalise the integration, you have to define to which list (in Mailchimp) you want to synchronize your contacts.